The view from LaGuardia Place includes the symphony of Skidmore, Owings & Merrill’s 7 World Trade Center at 250 Greenwich Street and its ever-rising companion, One World Trade Center, beyond. I see the buildings every day from the Center for Architecture, and have become a fan of 7 WTC’c magical properties, both geometric and optical. 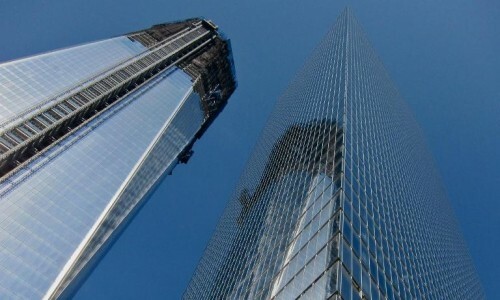 It is a building made out of reflections, refractions, inflections, and colors, expressed in glass and stainless steel. The obtuse angle of the extruded parallelogram gestures to the southeast, while the north face is frontal to the West Broadway view, making two surfaces for the sky to paint its themes and variations, and impossible to imagine that the curtain walls are the same all around. 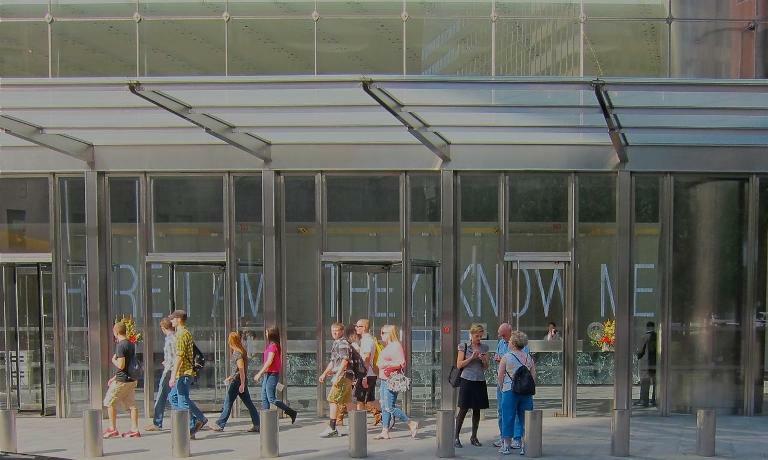 We’ve covered the technics and subtleties of its curtain wall (“Good Connections,” Oculus, Fall 2005, by Carl Galioto, FAIA). It creates a continually transforming ephemeral glowing surface that merges with the sky, and we reject those detractors who call the building boring. That’s like saying the sky is boring. Tell that to JMW Turner! The building is a beauty, tall, slender, elegant, and sharp. It was the first LEED Gold skyscraper in the City.